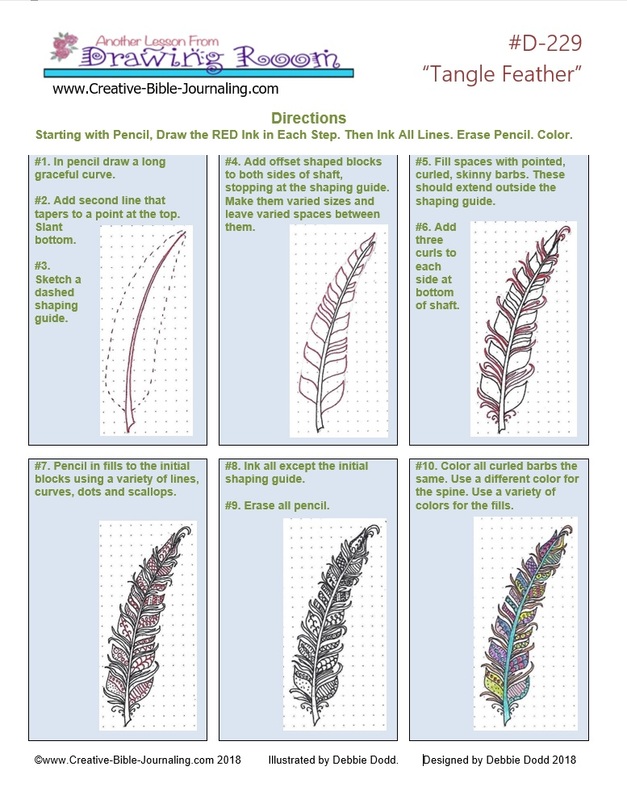 Simply click on the first link below, to download the printable to practice with Debbie’s simple step-by-step instructions. 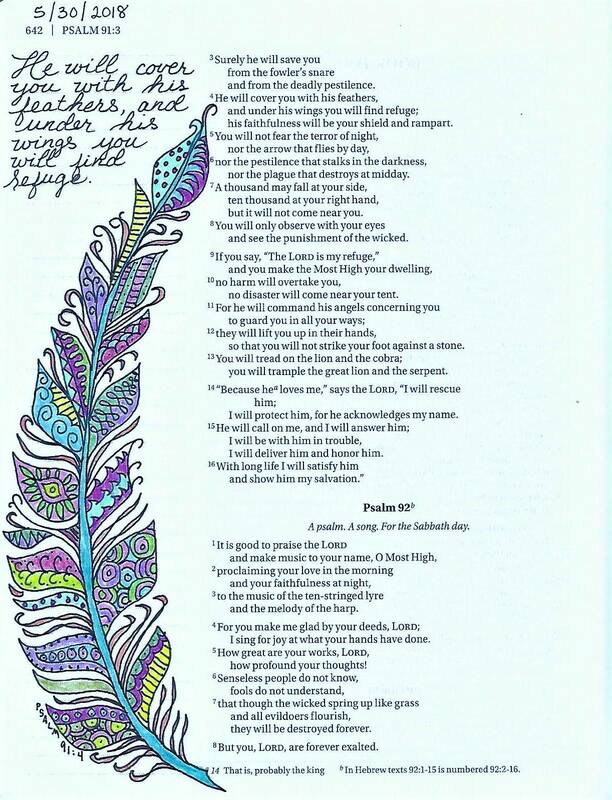 You may choose to draw your final in your bible, perhaps with the verse above? After your project is complete, please click the second link to go to the Facebook CBJ Drawing Album, to post a photo of your new drawing. 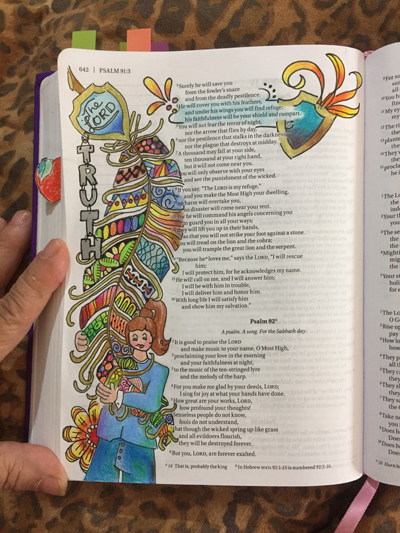 Here are several examples of using this weeks Drawing room art in our Journaling Bibles. 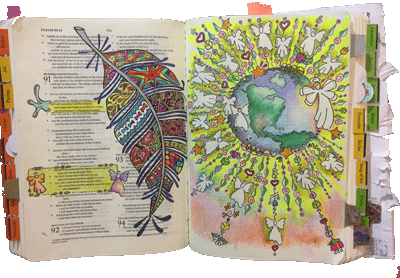 Jackie Mattingly illustrated her NIV Holy Bible, Journal Edition with this feather art. Psalm 91:4 He will cover you with his feathers, and under his wings you will find refuge: his faithfulness will be your shield and rampart. 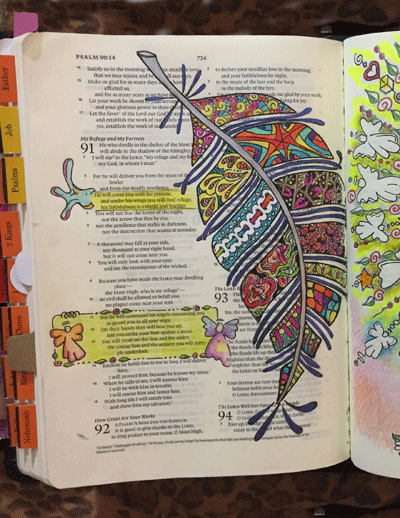 Jackie Mattingly drew a tangled feather on the page with Psalm 91:4 in her Interleaved Bible. 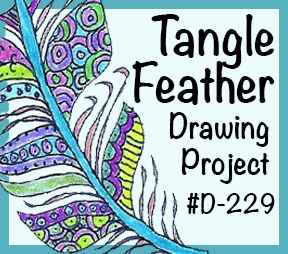 After drawing the feather she used white acrylic paint to block out text on page; then penciled in the tangles; then inked in the tangles before coloring them with sharpie fine tipped colored markers. 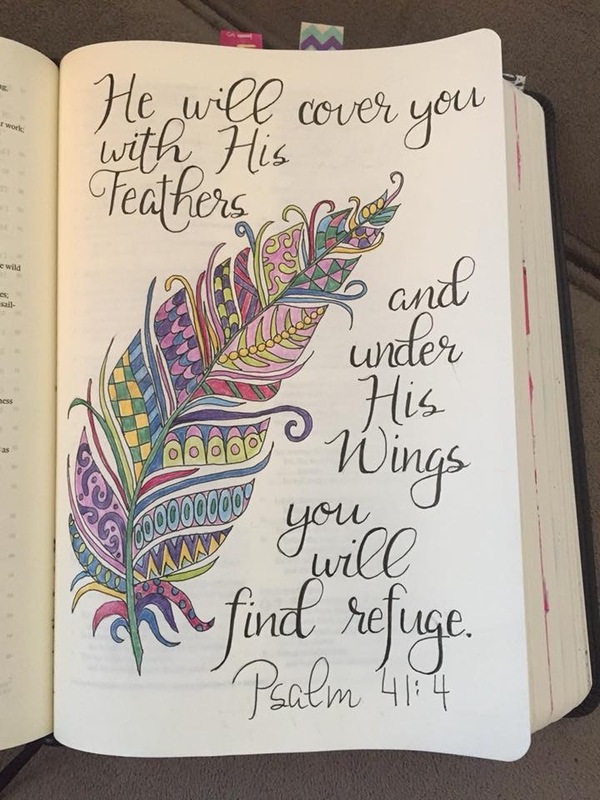 Jackie drew the feather over the text since she already had an illustration on the interleaved page. This gorgeous example of the tangled feather was done by Debbie Dodd.